In the spring of 1954, General Giap shocked the world by doing what had previously been considered impossible—defeating a Western occupying force. 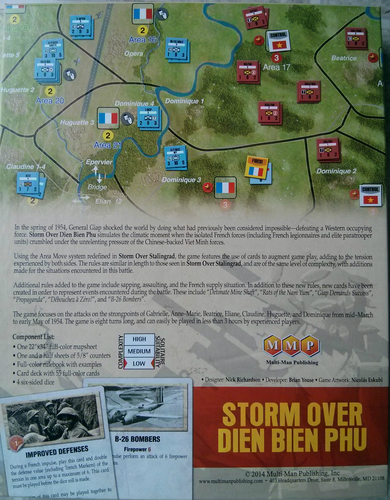 Storm Over Dien Bien Phu simulates the climatic moment when the isolated French forces (composed of French legionnaires and elite paratrooper units), crumbled under the unrelenting pressure of the Chinese–backed Viet Minh forces. 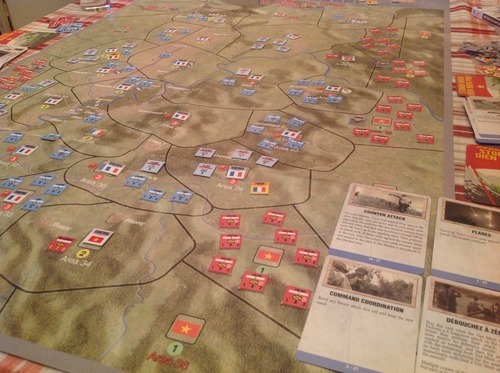 Using the Area Move system redefined in Storm Over Stalingrad, the game features the use of cards to augment game play, adding to the tension experienced by both sides. The rules are similar in length to those seen in Storm Over Stalingrad, and are of the same level of complexity, with additions made for the situations encountered in this battle. 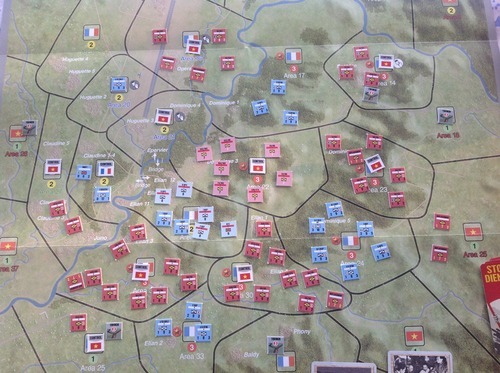 Additional rules added to the game include sapping, assaulting, and the French supply situation. In addition to these new rules, new cards have been created in order to represent events encountered during the battle. These include “Detonate Mine Shaft”, “Rats of the Nam Yum”, “Giap Demands Success”, “Propaganda”, “Débouchez à Zéro!”, and “B-26 Bombers”. The game focuses on the attacks on the strongpoints of Gabrielle, Anne–Marie, Beatrice, Eliane, Claudine, Huguette and Dominique from mid–March to early May of 1954. 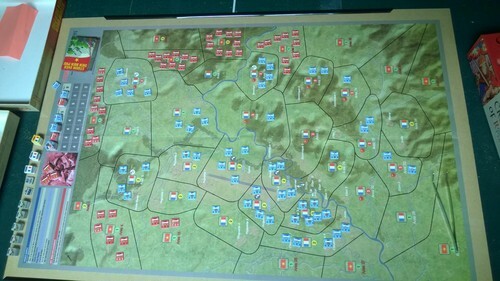 The game is eight turns longs, and can easily be played in less than 3 hours by experienced players.